324 pages | 33 B/W Illus. Part 1. 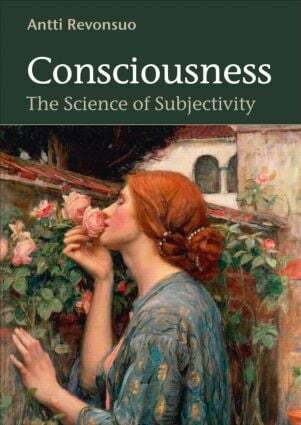 Background of the Science of Consciousness. Introduction: Consciousness and Its Place in the Scientific View of the World. 1. The Philosophical Foundations of Consciousness Science. 2. The Historical Foundations of Consciousness Science. 3. The Conceptual Foundations of Consciousness Science. Part 2. Central Domains of Consciousness Science I: Neuropsychology and Consciousness. 4. Neuropsychological Deficits of Visual Consciousness. 5. Neuropsychological Dissociations of Visual Consciousness from Behaviour. 6. Neuropsychological Disorders of Self-Awareness. Part 3. Central Domains of Consciousness Science II: Neural Correlates of Consciousness (NCC). 7. Methods and Design of NCC Experiments. 8. Studies on the Neural Basis of Consciousness as a State. 9. Studies on the Neural Basis of Visual Consciousness. Part 4. Central Domains of Consciousness Science III: Theories of Consciousness. 10. Philosophical Theories of Consciousness. 11. Empirical Theories of Consciousness. Part 5. Central Domains of Consciousness Science IV: Altered States of Consciousness. 12. What is an "Altered State of Consciousness" (ASC)? 13. Dreaming and Sleep. 14. Hypnosis. 15. Higher States of Consciousness. 16. Epilogue: Reflections on the Science of Subjective Experience. Antti Revonsuo is Professor of Cognitive Neuroscience at the University of Skövde, Sweden, and Professor of Psychology at the University of Turku, Finland. He has been conducting research on consciousness since the early 1990s and has directed an undergraduate degree programme on consciousness studies since 1997. He is best known for his evolutionary–psychological theory of dreaming, the threat-simulation theory.